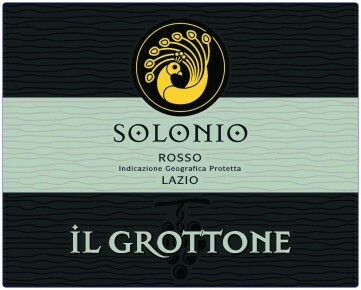 ‘Il Grottone’ has a deep red color. There are fragrant aromas of tobacco, plum, and ripe cherries on the nose. The palate is fruity, dense, and full-bodied with velvety tannins on the finish. It pairs well with stews, roasted meats, and aged cheeses. It can also be enjoyed as a meditation wine. A selection of the best Shiraz and Cabernet Sauvignon grapes are partially dehydrated and softly macerated at controlled temperatures. After alcoholic fermentation is complete, the wine is placed in French oak barrels for 12 months.